Graham Oakes: All Aboard the Comedy Bus! All Aboard the Comedy Bus! 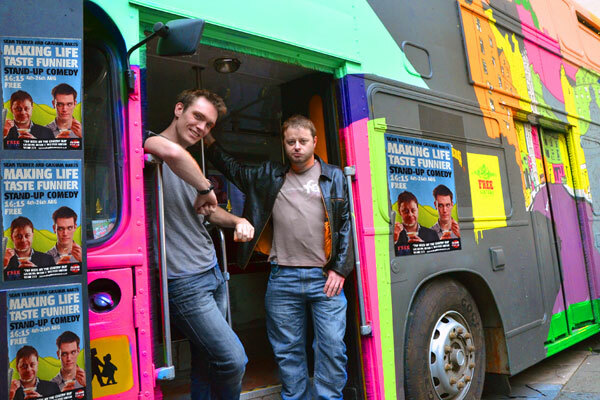 A video tour of my Edinburgh Fringe venue: The Top Deck of the Comedy Bus! Performing on a bus for a month was quite the experience! Despite the venue being too short for me (not an issue for my friend Sean!) we had a great run. Thank you to everyone who came to see us! Me and Sean on our Comedy Bus.